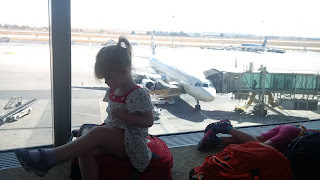 We arrived in the domestic terminal around 9 am, and had to wait outside the international terminal security checkpoint until 12:10pm in order to check in on Royal Jordanian. Then our 2:45pm flight didn't leave until...5:00 pm. I counted at least 5 "inshallah"s during the second or third announcement related to the delays. Then all of a sudden, with no noticeable announcement, everyone got on the plane. And then we sat in the plane for a while. The kids still have no sense of time. 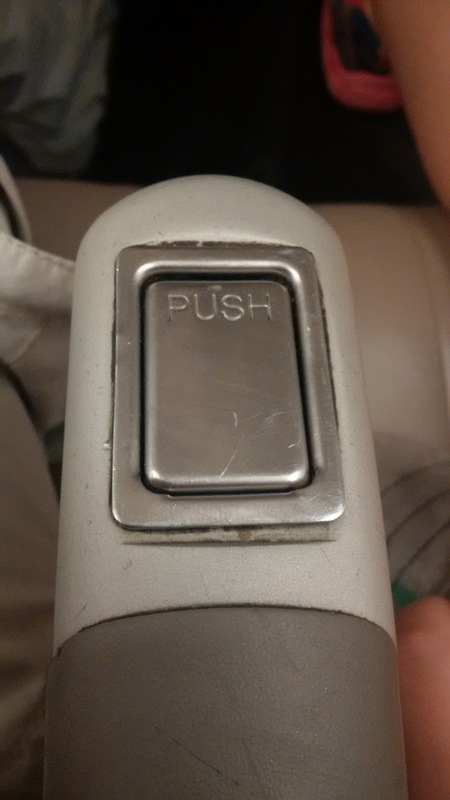 When we finally did disconnect from the auxiliary power unit, it reset the video system,, so not only would I have to start the movie over, but then I had to wait until we were at altitude before the flight crew restarted the system. From a customer service perspective, I cannot recommend flying on Royal Jordanian. Not sooner than the plane took off from Istanbul than our little one fell asleep. Since we departed IST over two hours late, we arrived in Amman with only 10 minutes before our flight's scheduled boarding time. Going thru security, we were behind some Hasidic Jews who had to take off their black hats. Some had yarmulkes on, others didn't, so those guys improvised head covering with shawls, napkins, even the long sleeve of a shirt still being worn. That is dedication. We got up to the gate and our flight number was listed, but there was no one at the desk and no additional information was available. I walked around a little bit until I saw a monitor that showed "last call" for our flight! I hurried back over to get our stuff, we went through the gate...and down a long, winding ramp to a second waiting area where there were airline staff. Would have been great if someone had let us know this place existed when we checked the first time. Even being late, we weren't the last ones on the bus out to the plane. Perhaps the most comical thing about the flight back to Jeddah was how dated the plane was. 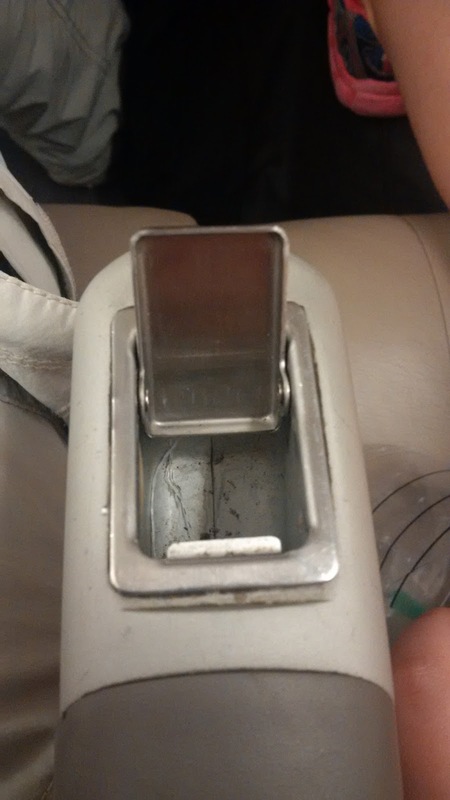 I mean, when was the last time you saw ashtrays in the armrests? We arrived in Jeddah, collected our bags and headed home for a well-earned rest to finish out our Turkish vacation.